Kidlit411 had the privilege of interviewing E.B. Lewis, illustrator of over 70 books for children and known for his teaching and mentorship of up and coming illustrators. 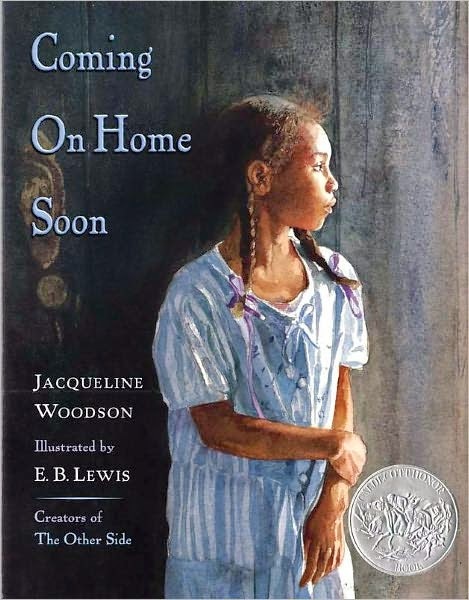 He won a Caldecott Honor in 2005 for COMING ON HOME SOON. His latest book, ALL DIFFERENT NOW, is coming out on May 6, 2014. Tell us about your background and how you came to be a children’s illustrator. I grew up in a family of artists. My early years were spent running around art museums, seeing art all the time. My uncles were artists who encouraged me. One taught at the Temple University Tyler School of Art, where I attended college, and the other taught at PCA College of Art, which is now the University of Arts, where I teach. At Tyler, I majored in Graphic Design and Illustration and Art Education. When I graduated, it was tough getting a job in illustration, so I ended up teaching for eight years. I likened myself to a boxer who had trained all these years and didn’t get into the ring. So I started painting. I was painting at a psychiatric hospital. When my classes were over, I turned the corner into a studio. One thing led to the next, and I developed a body of work and I started to show in Philadelphia. 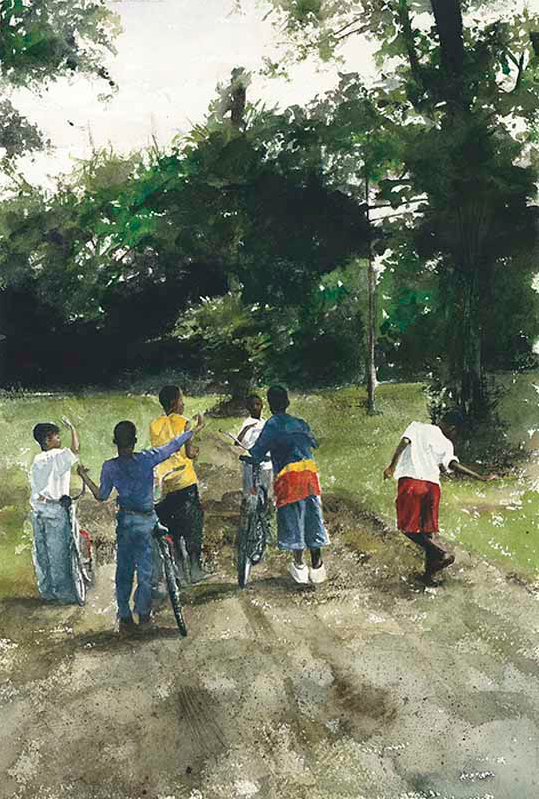 After my one-man show sold out, my watercolor work was featured in Artist Magazine. Jeff Dwyer, an agent who represented children’s books, called me and asked if I would be interested in children’s illustration. I said no, because I’m a fine artist and I don’t do sequential narrative. He asked me to look at some illustrators who were also fine artists, like Chris Van Allsberg, Barry Moser, and Jerry Pickney. I discovered some of the best artwork in this country was done for children’s books. Jeff Dwyer sent slides of my work to nine publishers. Six gave me a contract. I started painting and now have 67 picture books and 6 or 7 chapter books. You’ve illustrated so many books. Do you have any favorites? 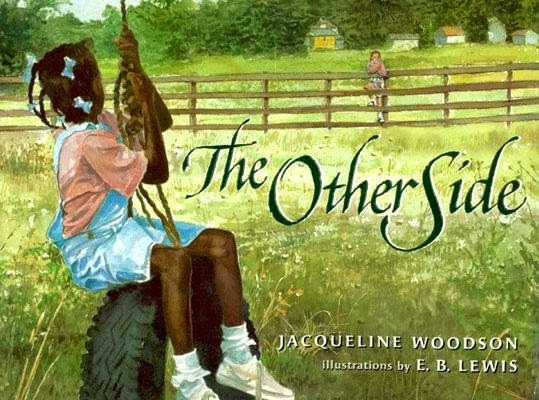 (1) THE OTHER SIDE, by Jacqueline Woodson. This is the pinnacle of what my work can be – so far – not so much the painting, but the storytelling. I look at illustration as a visual language, no different than any other. I took that story by Jackie Woodson and translated it into a different language, a visual language. 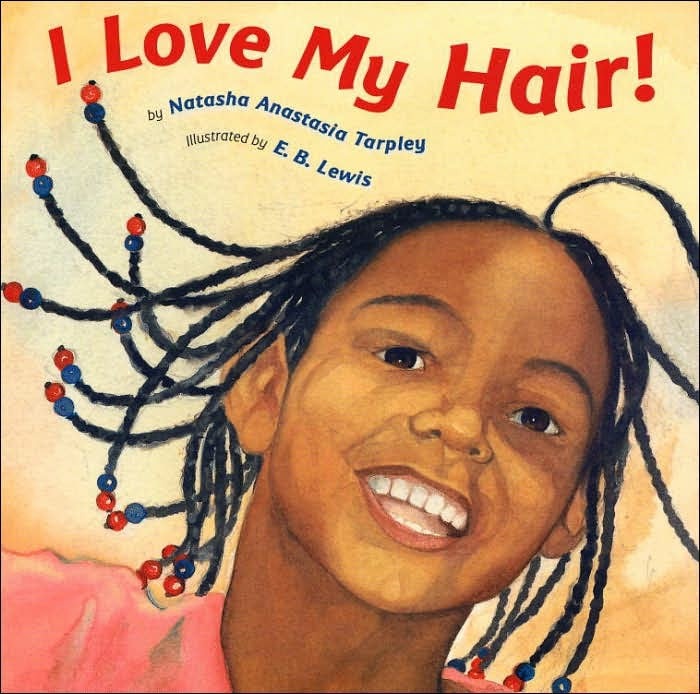 (2) I LOVE MY HAIR, by Natasha Anastasia Tarpley. A daughter of a dear friend of mine was the model. It was a fun, imaginative book, and I am still excited about the images. 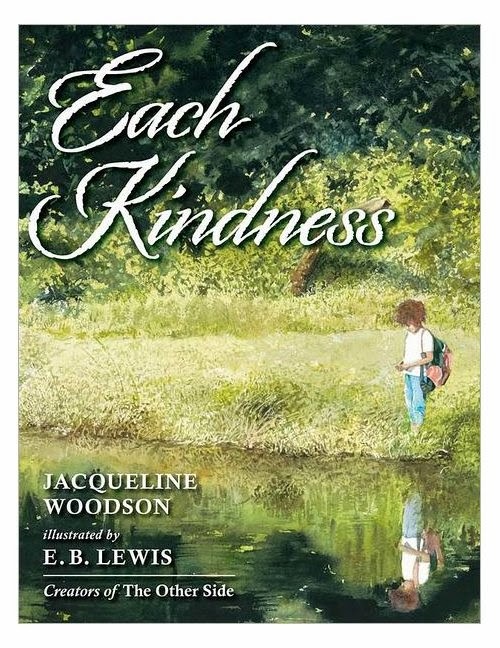 (3) EACH KINDNESS, by Jacqueline Woodson. This book is about kindness. It is set in a school, where classmates not being kind to girls, and it is one of the recommended books on bullying in the country. Who were your influences (early in your career and now)? Some of my influences have remained the same. I love the watercolorists Wyeth, Sargent, Homer, and Zornes. Illustrators I love are those who can capture emotion. I’m amazed by people like Rockwell, Maxfield Parrish, and N. C. Wyeth—how they set the themes and capture all the nuances and make them believable. They captured the essence of what is believable. My favorite present living illustrator is Chris Van Allsberg. As a teacher, what are some typical beginner mistakes you see? 1. Not studying the craft enough. One mistake I see is that beginners have not studied or understood the craft of storytelling and how books work. Just having the ability to draw is not nearly enough. I liken it to a language. Beginners are like someone coming to a new country and only knowing a few words or phrases. They need to learn the parts of speech, sentence structure, paragraphs, and how you tell a story. How to show and not tell. All these nuances happen in the craft of storytelling. Even if you reach that level of telling a storytelling, you have to be able to tell a joke in the language, to know the timing. Another mistake I see is that beginners do not draw enough; they do not have sketchbooks. Like any creative art (musicians, writing), you need to draw a lot. The basis of painting is from drawing. It’s about out observation. What we do is purely about observation, observing something until we’ve dug deep enough to smell it. Draw enough to develop your own unique voice. It’s necessary to have a style, but don’t try to manufacture it. Once an artist knows his style, he is dead in the water. It evolves naturally from enough due diligence. It all stems from being impatience. It’s become romanticized” “I want to be a children’s book writer and illustrator. I can sit in my studio, put out a book and become rich.” It’s not even close. What are some ways illustrators can learn the craft? There is no way to make it without studying the craft intensely. (1) Look at a lot of books, to understand how they work. (2) You can’t do it in a vacuum. 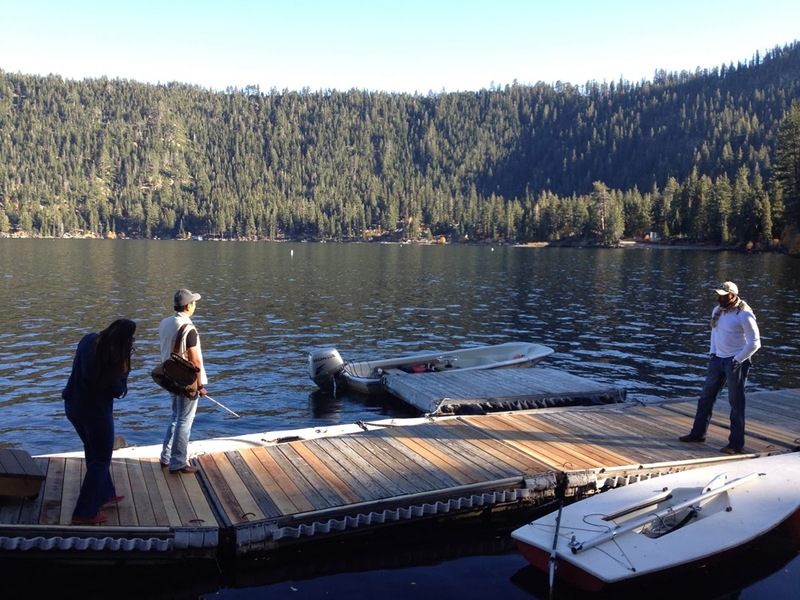 Take classes and go to SCBWI conferences (in the intensives and workshops, people share ideas and knowledge). You’ve mentored many illustrators. What is your mentorship philosophy? I love to teach. It’s one of my passions. I love when I see an the lightbulb go on. What I enjoy is imparting information that will take someone to the next level. It’s also great that it is not like a university. The students I mentor want it badly, so I never have to push them. I also am impressed by the class and quality of the students I mentor. It goes back to the old school master and apprentice in the studio. I love that dynamic. It’s a give and take. I’m learning as much from them. I’m open, and I need to be open to all things. As I’m listening to them, I realize what they’re bringing to the table is their youth. They are out of my time. To tap into their time, to tap into the volume turned up high, keeps my work fresh. I am finishing up a book for Candlewick, SEEDS OF FREEDOM: THE PEACEFUL INTEGRATION OF HUNTSVILLE, ALABAMA, a civil rights book, by Hester Bass, coming out in February 2015. I have a couple of books coming out soon. 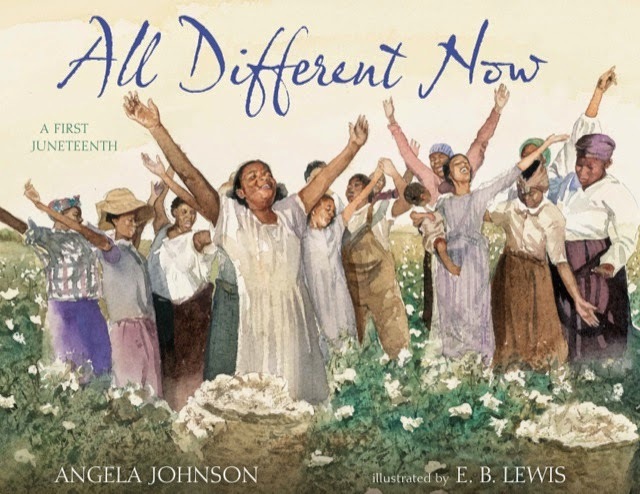 ALL DIFFERENT NOW: JUNETEENTH, THE FIRST DAY OF FREEDOM, by Angela Johnson (Simon & Schuster for Young Children) about emancipation comes out on May 6. I have another book coming up, FIRST STEP about Brown v. Board of Education. What is your time frame for illustrating a book? What is your general process? I do three books a year. It takes me four months to do a book. I do an immense amount of research. I am one of the artists that go to the place where the story takes place. I use live models for reference photos. For me, it’s like I’m producing a small short movie. I’m everybody, the director, lighting person, the casting director, and the set designer. I don’t make up anything I illustrate. I have reference photos for every element, including the birds flying in the sky and the sky itself. I’m not trying to reproduce reality. I just use it as a jumping off point to create a reality that is as intensity. I love cooking. I love being in the kitchen. I love to travel. When I do, I will not go to a hotel. I will go to an apartment with a stove and refrigerator, and I will prepare my own food with indigenous ingredients. Thank you so much for sharing your time and insight, E.B.! Wonderful interview! I found it interesting how E.B. researches for his books--also going to the actual places. How wonderful to read about a fine artist who went into illustrating! Rockwell and Parish are two of my favorite artists/illustrators. I really appreciate the tips E.B. has given us here on how to proceed. I hope to one day be half as good as he is. Thanks, Sylvia, E.B., and KidLit! I love his work. And I must say, I have many of the books pictured here. D IS FOR DRINKING GOURD is one of my favorites and last month, Nancy I. Sanders sent me an autographed copy in the mail. I did not even know it was coming. It was such a pleasant surprise. I love his work. I love Jacqueline Woodson's THE OTHER SIDE. E.B., you are a true talent. Your work is amazing. What beautiful illustrations! Thanks so much for sharing these pearls of wisdom.